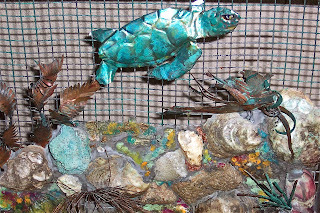 Turtle Reef is a reflection from GTF's underwater reef diving expeditions. 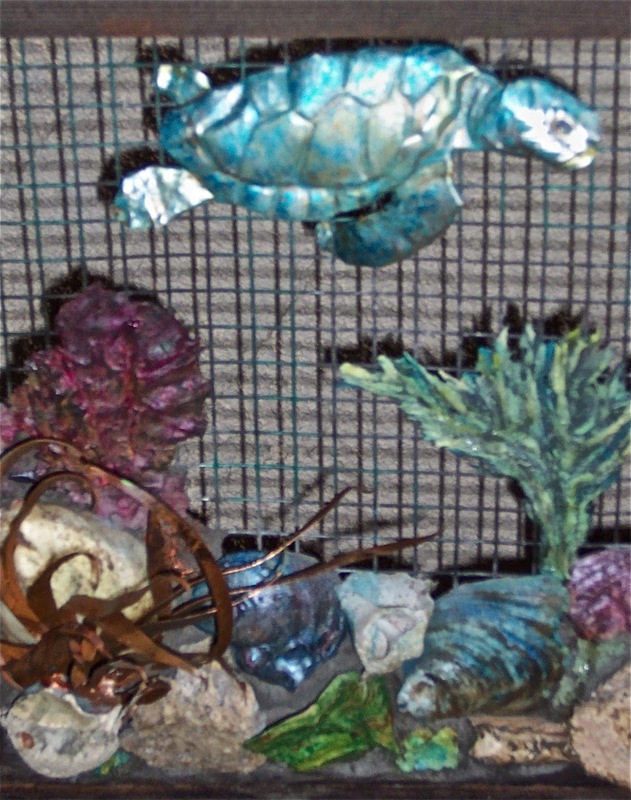 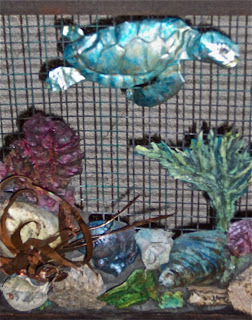 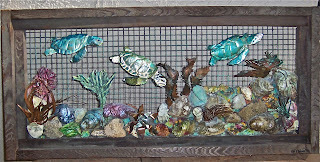 A 3D scenic collage of shells, copper 'deep sea flora', and hand-painted chase & repousse aluminum swimming sea turtles. 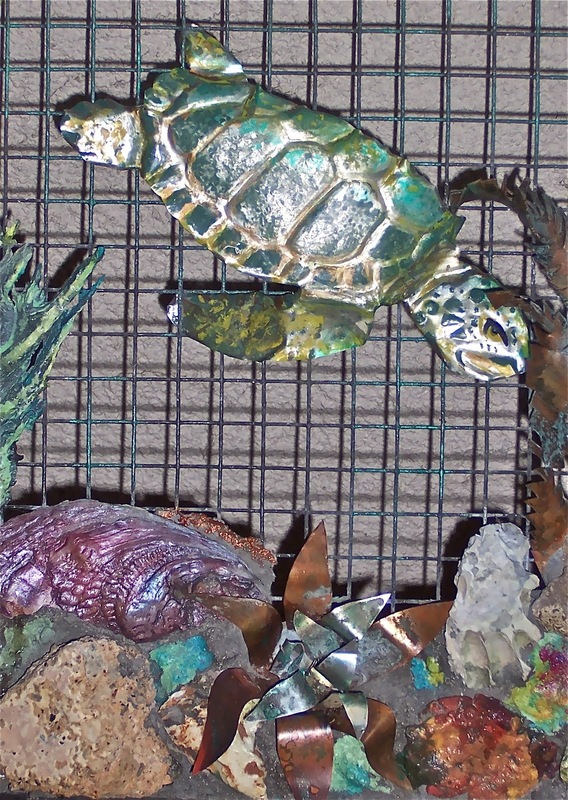 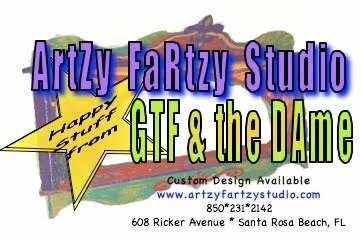 Each individual element thoughtfully created and positioned one-by-one. Adhered to metal mesh background and framed in rustic deadhead cypress wood. 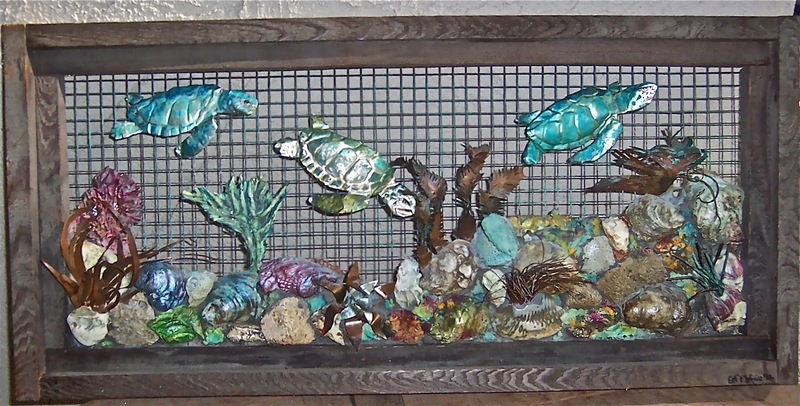 30"W x 14"H. Suitable for outdoor display. 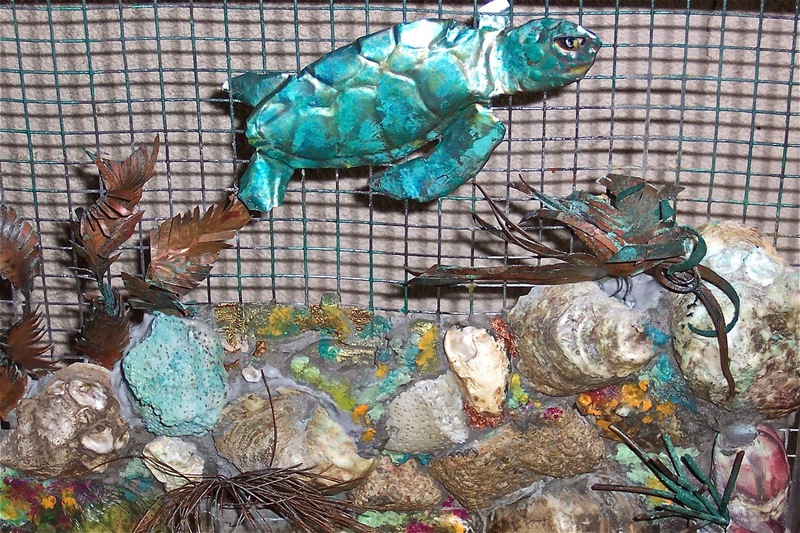 A South Florida guy and a Kansas farm gal... after each circling the globe... end up on Florida's exquisite Emerald Coast in SoWal's Santa Rosa Beach community.